This is one of those amps that proves simple is better. I originally built the amp to test out an idea I had and didn’t really bother to worry about complicated tone controls or effects. 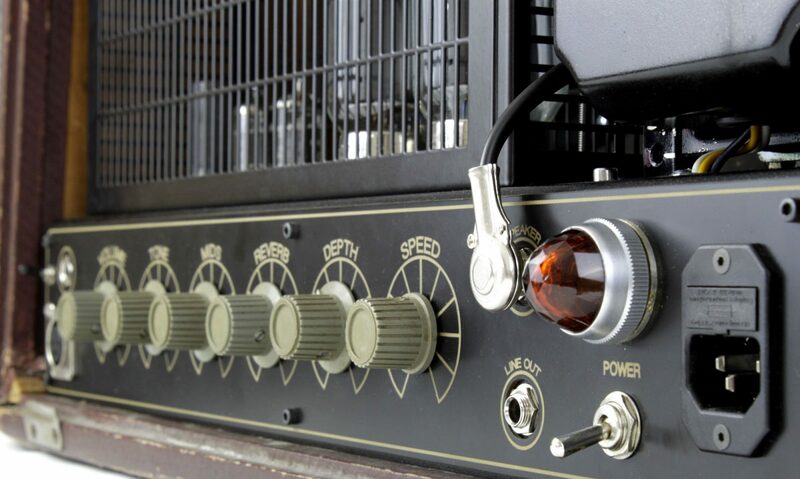 And that’s the charm of this amp– it’s all about the sound! The circuit is as simple as can be: one gain stage leading into a paraphrase phase inverter which drive a pair of KT77s cathode biased. The two knobs control volume and tone. The sound is pure bluesy rock and roll. It has a strong clean character that builds up to overdrive depending on the attack of the guitar. At full volume the amp has a lot of distortion without losing the bass and definition of the notes. 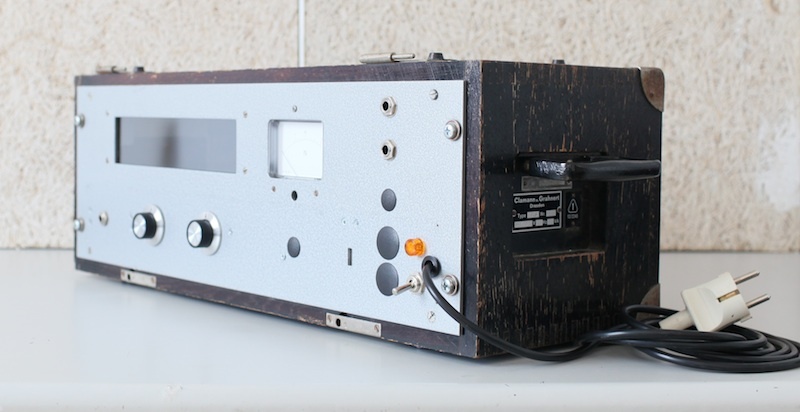 The case itself comes from an old DDR era oscillator. It’s beautifully built with dovetail joints, ventilation on top and back, recessed handles that swing out, as well as being fully shielded inside! Of course the VU meter is always a welcome addition.